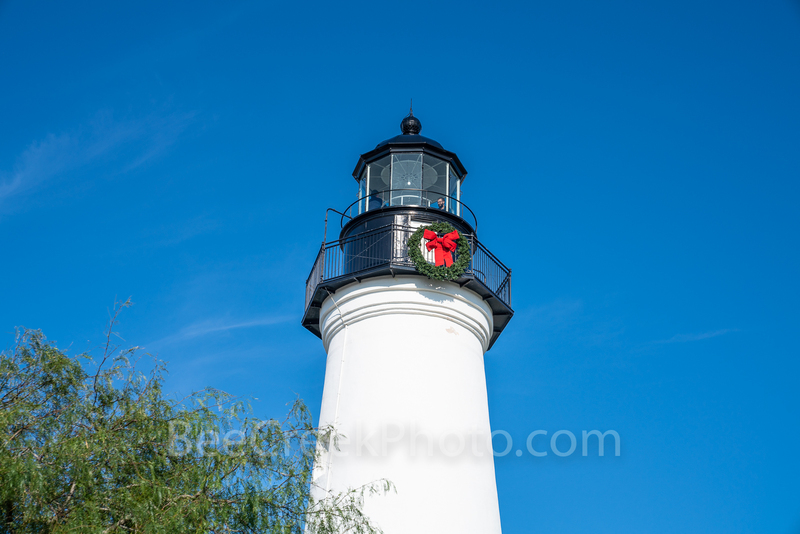 Top of Port Isabel Light House - Top of Port Isabel Light House with a holiday wreath with a nice blue sky. Port isabel is located in south texas near the Texas Mexico border and is the entrance to the South Padre Island barrier island. The lighthouse is a historical landmark in the area and is 50 feet high with nice view of the area. Photo © copyright by Bee Creek Photography - Tod Grubbs / Cynthia Hestand.